Sometime last week, I got a couple of envelopes in the mail, one for me and one for the hubby that I tossed in the "to shred" pile as they looked like junk mail. Before shredding, I opened them to make sure it wasn't actually something important. 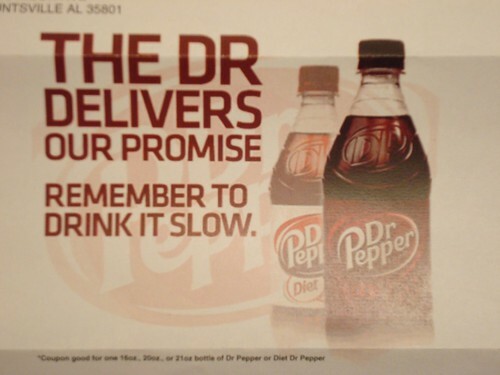 Good thing I did because it was our coupons for free Dr. Peppers!